The Kanab School was originally built in 1917 on the location where the Kanab Center will be stand. This property was not only at the center of Kanab student's lives, it was also the primary gathering location for community events. The Kanab Center will continue this tradition and expand it's use to welcome visitors from around the country and the world. The Kanab Center will include a 6000+ sqft ballroom that can be configured into three individual spaces. Breakout sessions will be handled by seven rooms of varying sizes. The original gym will continue to be used for community sporting events, but also doubles as an expo space for booths or large displays for conventions and seminars. You can take your event outdoors to two plazas or use the large outdoor performance/dance floor with capacity for up to 230 people. 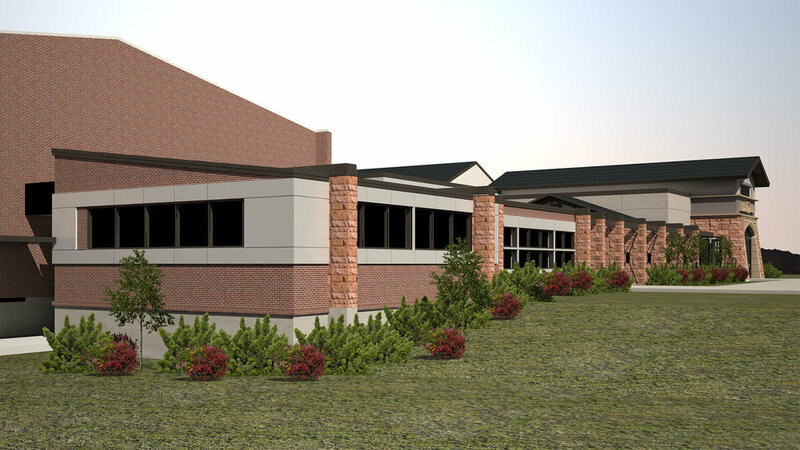 The all new conference center building is the focal point of the Kanab Center. You can dine with 400+ friends and associates or make presentations to 750 people in the ballroom. Food is essential to these gatherings so a complete catering kitchen designed by food service professionals will make it possible to serve the finest meals. You'll also have access to an outdoor kitchen for dutchoven cooking and grilling steaks. No other facility in southern Utah has anything like this.